Some if my favorite things: mistletoe and garlands. I bought these ornaments at a thrift shop years ago, waiting for an opportunity to use them. This is their year to shine! 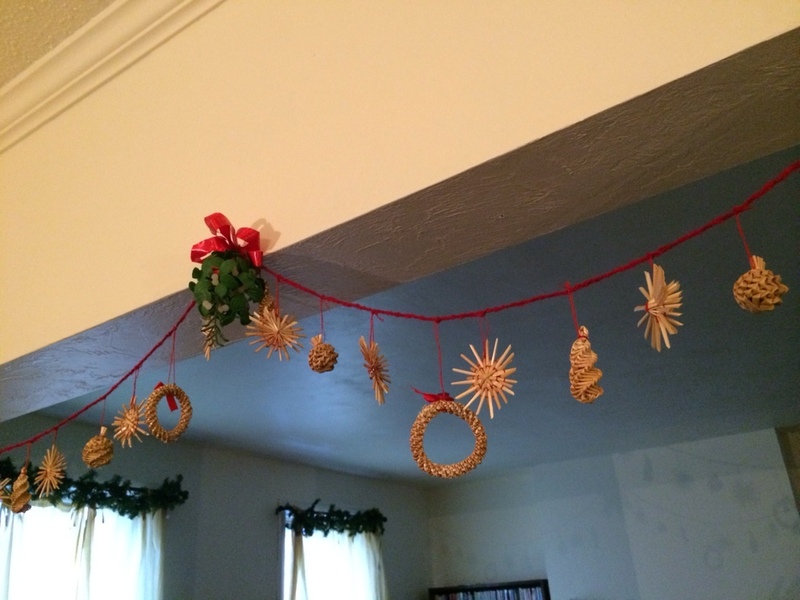 Strung up with the famous merry maker itself, this delightful bit of decoration is adorning my dining room.